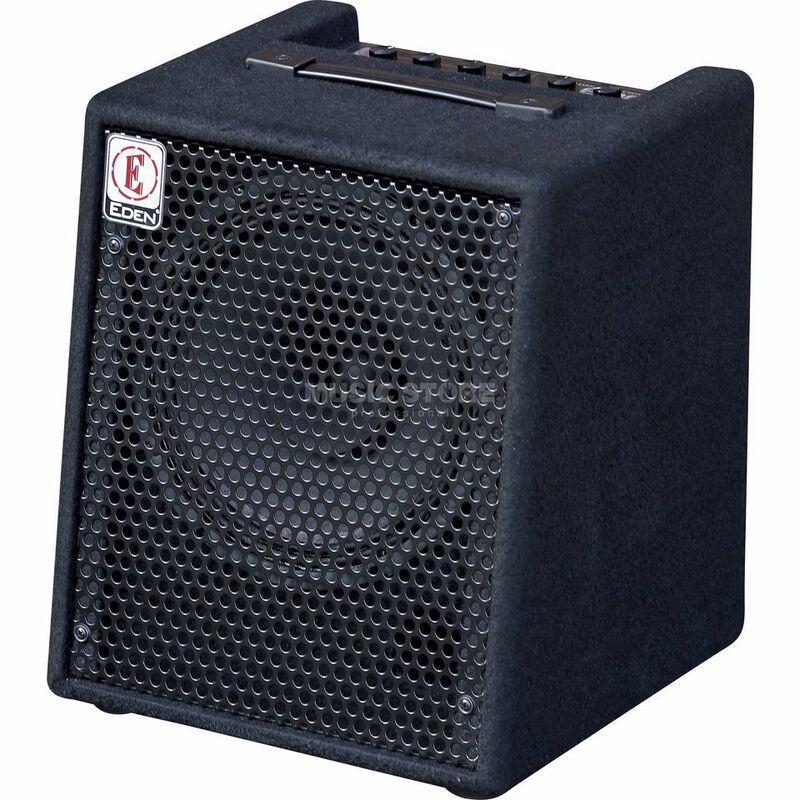 Eden E10 Bass Amplifier Combo - The perfect small size kick back bass amplifier for practice or warm-up. At 50 watts, this is the most powerful amp in its class. The E10 features a wide range 10" Eden designed coaxial loudspeaker for great tone. It is housed in a strong light weight plywood enclosure. It contains a fully automatic AGC compression circuit on the input stage to help make every note sound well balanced. That is coupled to a smooth sounding old school passive 3 band tone control circuit. You can set the E10 up to sound sweet and clean or crank on plenty of crunch. A head phones out completes the package.